We live in a beautiful area. Lovely scenery. Delicious local wineries. Cute downtown markets. Cool food trucks. Did I mention the wineries already? I’ve really come to love wine. Blame the nearby wineries. Blame my emotional drinking habits. Blame my constant desire to be fancier. I’ve chosen to accept and embrace it. When I first started drinking wine, it had to be sweet and cold- usually Moscato. But now that my taste has matured (eventually the rest of me will catch up! ), I’ve come to enjoy a glass bottle of Merlot or a red blend. One of our favorite weekend activities is to visit local wineries. Here are a few we’ve been to recently! 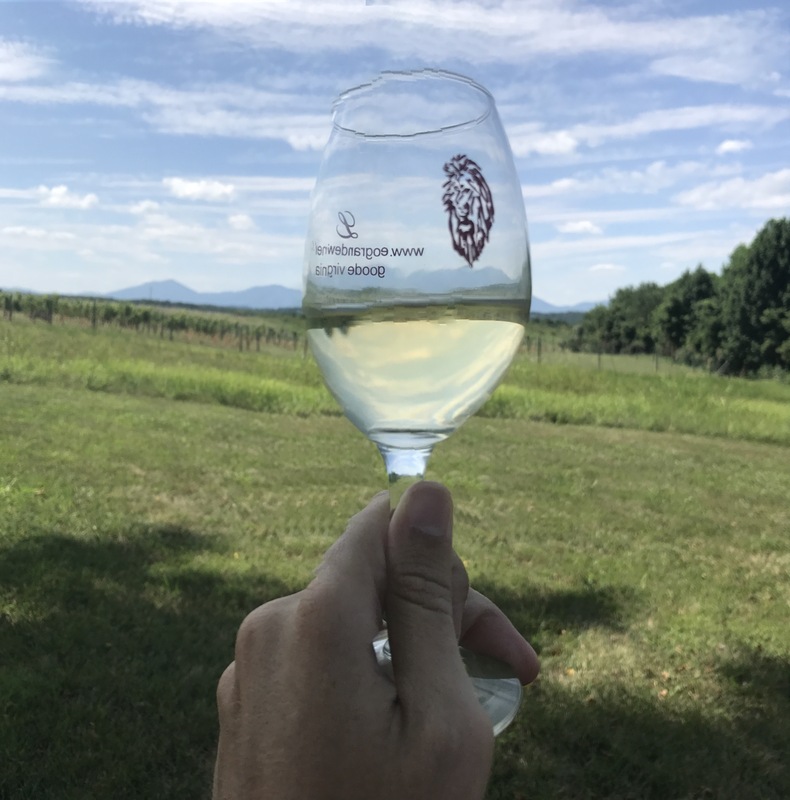 Smaller location, but delicious wine that you can enjoy while sitting and taking in beautiful views of the fields and the Peaks of Otter mountains in the background. Our favorite was the Roaring Red which was a red table wine. Virginia’s oldest winery, Mountain Cove was off the beaten trail a little, but worth the drive. They offer free tastings of their delicious wine and if you are into hiking, there is a 5-mile loop nearby that you can do before before enjoying a picnic lunch at the vineyard with a bottle of wine, of course! While I’m not a whiskey fan, I am a fan of this distillery and would highly recommend that everyone check it out! Even if you aren’t a fan of whisky, you can order a flight of small cocktails that are absolutely delicious. The grounds are beautiful and provide a lovely area to sit, relax, and enjoy the day! We heard about Wood Ridge while we were at VA Distillery. We are so glad we found out about this place, it’s definitely a treasure! They offer about 20 different types of brews and you can enjoy these while in a 2 story constructed of lumber from the farm. The place is absolutely gorgeous. There is a food-truck that offers farm-to-table deliciousness- burgers, wings, fried goodness. The views are reason enough to come and check it out- 270 degrees of the scenic views of Nelson County! These are only a few of the many amazing spots to check out in the area and beyond. What is your favorite place to go to?